Shipping—the world’s second oldest industry and the first global business. It has been the engine of trade throughout the millennia and the source of pride, industry and employment. Until recently, it has been an almost entirely male domain. However, in the past 50 years, there has been a shift and opportunities for women to participate in this exciting, dynamic industry are created and increasing every day. It is commonly acknowledged that corporations and boards are more successful when there are women as leaders and board members. Shipping, however, lags behind most industries, simply based on the historic career path into the maritime industry. Certain aspects of shipping were seen as not well suited to women, as they required extreme manual labor, and maritime academies traditionally had an all-male sctructure. Mindsets are shifting and and the percentage of women accepted into maritime academies grows each year (in 2015, the United States Coast Guard’s incoming class is comprised of 35% women). This has improved the ratio of women to men in the field—but there is a long way to equality. To facilitate change, the IMO (International Maritime Organization) developed a program for the Integration of Women in the Maritime Sector (IWMS), now celebrating its 25th year, which has a primary objective to encourage IMO Member States to open the doors of their maritime institutes to enable women to train alongside men and acquire the high level of competence that the maritime industry demands. 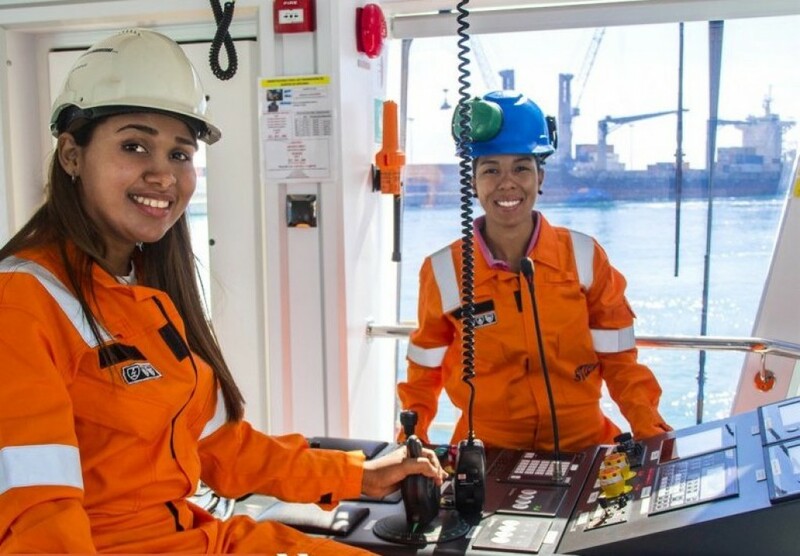 Regional harmonization has been a second key priority under IMO’s program, resulting in the establishment, through IMO support, of 6 regional associations for women in the maritime sector covering the following regions: Africa, Asia, Latin America, the Caribbean and the Pacific Islands. IMO continues to support the participation of women in both shore based and sea going posts, in line with the goals outlined under the United Nations Millennium Development Goal (MDG) 3 “Promote gender equality and empower women”, under the slogan: Training – Visibility – Recognition.